Here's a little treat for you guys. I came across this amazing photo of Tifa Lockhart. It's how she looked during the Final Fantasy VII game but with the Advent Children graphics. I was only able to find a 400 x 300 pixel image and god knows I wanted it as a wall paper so I photoshoped the pic to add on some more width to it. If anyone is of course able to find a more clearer version of this picture, I'd love to have it. I believe I'm the first to make it a wallpaper and if anyone wants to modify it more go right ahead. This is why I kept it simple. 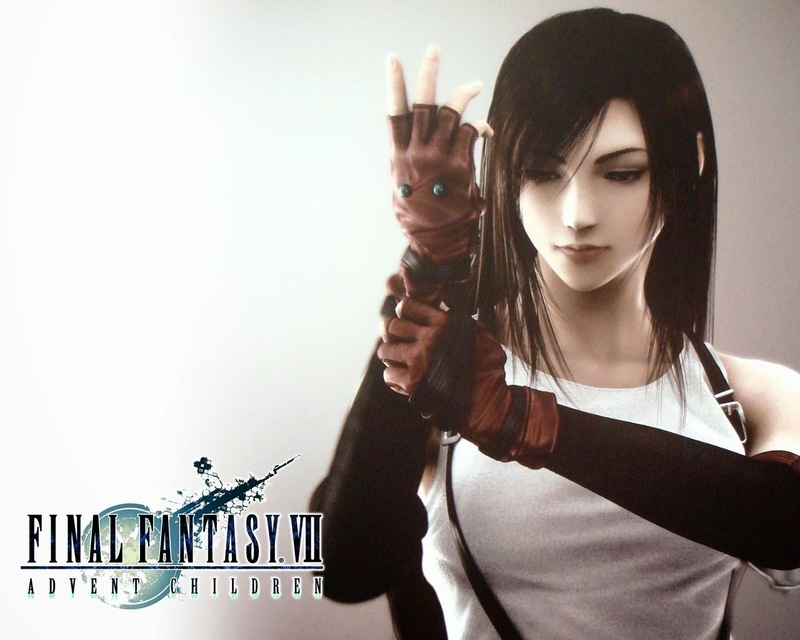 Tifa is by far my favorite character of all time and this image is hopefully a glimpse of what we might see if Square-Enix makes a Final Fantasy VII for PS3. Be sure to click the picture to get the full 1024 x 768 wallpaper. As for those that have a bigger screen, had to go with the still current majority resolution. Check out more of Tifa here. a 1680x1050 of this pic would be great. Would love one too since I'll be getting a new computer in the near future. If you are still looking, here are some higher res photos of this great image. Hopefully you can make a larger wallpaper out of it. awesome man!!! thanks for the link! !